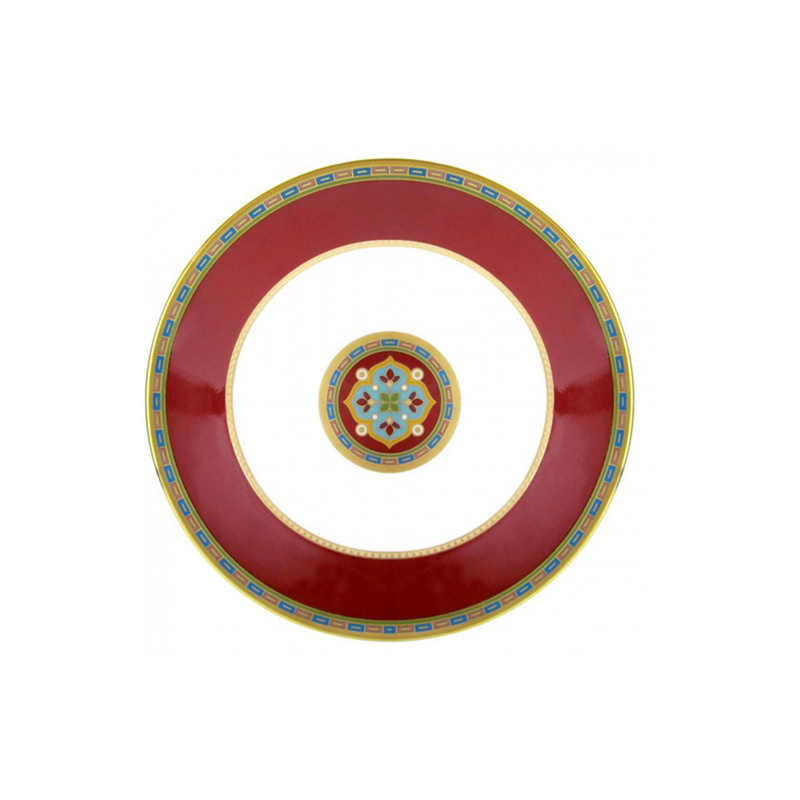 Villeroy & Boch presents this stupendous saucer for espresso cup of the Samarkand collection. 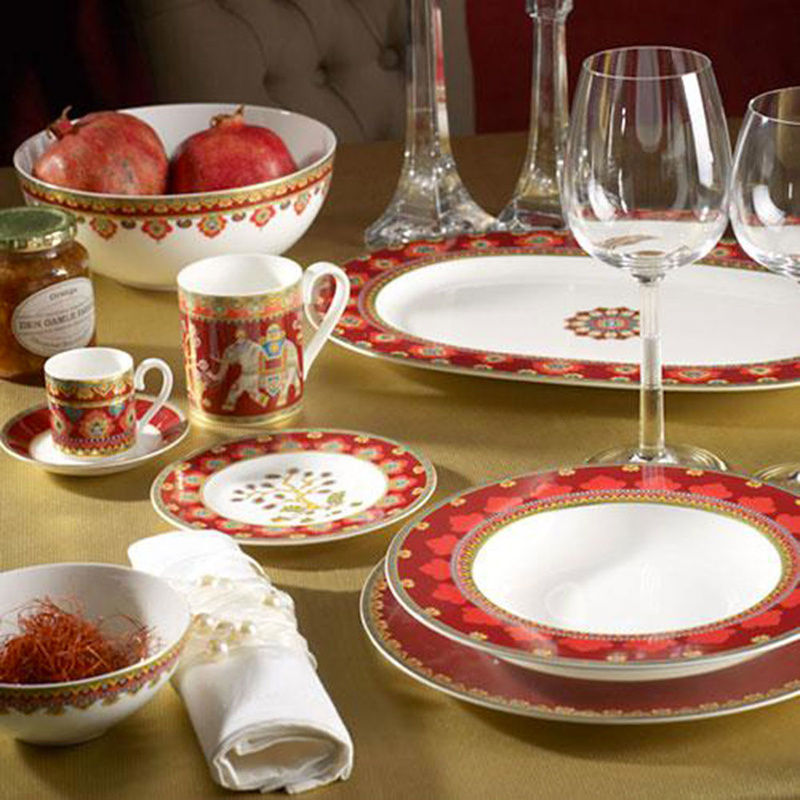 Villeroy & Boch, which is a leading name in the world of ceramics since 1748, presents its Samarkand Rubin line: with soft, classic lines and characterized by decorations of a deep red colour, as in this saucer, which has a classic and elegant style. Whether you prefer to drink your espresso black or with a little milk, you know that the coffee ritual has to be accompanied by the right cup, but not only: it also needs the right saucers. And we are sure that a classic like this saucer will beautifully match the kit you already own, although it was designed to accompany cups of the same line. The material used is of course a valuable and well-polished glazed porcelain of a milky white colour, decorated with coloured enamels, both durable and easy to wash. These are the materials that have made the Villeroy & Boch brand famous all over the world. The saucer is dishwasher and microwave safe: the porcelain used is very durable and it will not be ruined by washing or prolonged use. The base of the saucer is slightly curved to better accommodate the cup and avoid tipping, as well as to contribute to its sinuous appearance. It is suitable for anyone who is a fan of the more traditional lines, or simply for those who want to renew their kitchen: it will definitely be a great addition to your repertoire, which will make even more pleasant your coffee break. Treat yourself to a good espresso or amaze guests with style, elegance and quality designed especially for you by a leader company that works in the field since 1748. These saucers, together perhaps with the espresso cups of the same line, might be a good gift idea: in fact, anyone who appreciates a good Italian coffee would love to enjoy it in a precious porcelain saucer by Villeroy & Boch.